Institute of Management Sciences (Pak-AIMS) Lahore Admission for the year 2019 is announced. See Pak-AIMS admission last date, and entry test date below. IMS is commonly known as Pak American Institute of Management Sciences Pak-AIMS which was established in 1987. The institute is offering the undergraduate and postgraduate degree programs in the field of business management, information technology, and computer sciences. Currently, admissions are opened at IMS Lahore in the BSCS, BSIT, BS-SE, MSc-CS, Mphil-CS, PhD-CS, BBA, MBA, LLB, LLB, MSc Physic, and MPhil. Pak American Institute of Management Sciences Pak-AIMS Lahore is operating under the chairmanship of Dr. Khalid Ranjha who is a famous lawyer and politician of Punjab. Institute has presented the advertisement for admission for the year 2019 in electronic and print media. Procedure to download admission form, admission schedule 2019, IMS Fee package, Entry test, contact number and address of the Institute of Management Sciences are mentioned as given below. Pak AIMS Lahore admission has been offered into various degree programs at undergraduate and postgraduate level. Department of Management Sciences, Computer Sciences, Law, English Literature and Mathematics is offering these study programs in spring and fall semesters. 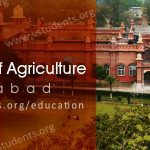 The academic activities are guided by the academic calendar issued by the concerned department. 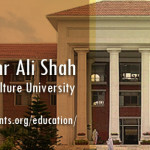 Faculty of the Institution is very much experienced and highly professional. 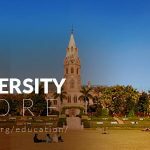 You can get complete information about IMS fee structure, Admission Form, required documents for admission, merit list, admission advertisement, address and contact information from this page. Institute of Management Sciences IMS Fall admissions 2019 are open in Business and Computer Science. Admission forms are submitted online before the last date. See the details below. 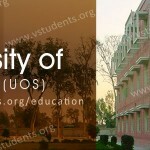 Institute of Management Sciences Lahore is providing the facility of Online admission. Candidates are required to submit the admission application online by Clicking on the Admission Form. 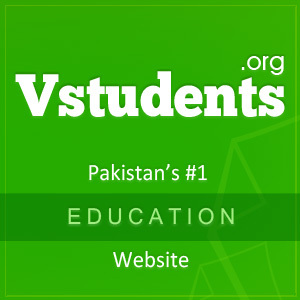 Looking for Lahore’s top universities for admission? Don’t forget to check these universities. 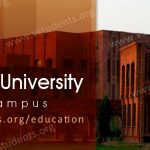 LUMS Admission, UCP Admissions, UMT Admission and LSE Lahore Admission. IMS admission form can be acquired from the institute admission office or candidates can submit an online admission application by clicking Here. 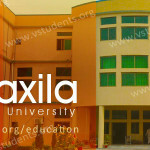 First of all register at the official website of the institute by providing username and password. Send the hard copy of the admission form with attested copies of the educational documents and three pictures of 1×1 size. Institute of Management Sciences IMS Lahore Admission advertisement is announced by the institution. Online admission is started at the website of the Institute for the year 2019. 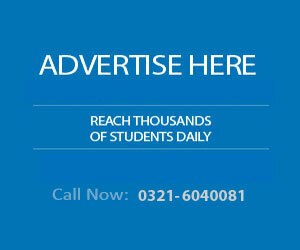 Degree programs offered by the university, are described in the admission advertisement. Admission kit can be obtained from the admission office by paying Rs. 700/- cash or through bank draft. 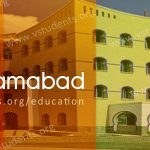 Eligibility criteria and admission requirements are mentioned in the prospectus for the year 2019. For admission into undergraduate degree programs, candidates must pass HSC with 50% marks at least. For getting admission into masters degree programs 60% marks or first division degree holders can apply for admission. For admission into postgraduate degree programs minimum 2.5 CGPA is required. The above-mentioned fee package can be changed anytime by the Institute without prior notice to the students. 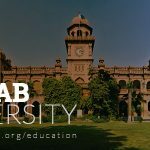 Also, check the IBA Karachi admission details for one of the best business university in Pakistan. Institute of Management Sciences IMS Lahore aptitude test is conducted by the administration of different departments for scrutiny of the applicants. Aptitude test is taken in written form and consists of different sections including reading, comprehension, problem-solving and writing ability. The pattern of the written aptitude test is similar to GMAT. Institute of Management Sciences IMS Lahore is offering different types of scholarships and financial aids programs. Merit-based scholarships are awarded to the students having excellent academic records or position holders of boards. Need scholarships are granted to students performing good in studies but unable to meet the expenses of the institution. These students are granted waive off in fee. After submitting the admission application, candidates are called for the aptitude test. If the candidate passes the aptitude test then he/she must go through group discussions and interviews. Candidate must present original documents at the time of interview. After the detailed scrutiny of education documents, final merit list will be displayed by the Institute of Management Sciences.